Syrian Perspective is now convinced that, with Obama’s re-election, the military movements in Northern Syria are auguring a new escalation in the conflict that will involve Turkey’s military in a war with Syria. We can now report with a very high level of confidence that Syria’s massive deployment of troops in Idlib Governorate is not typical of deployments to combat the Islamist Jihadist murderers. We are getting reports of increased Scud-B and Scud-D mobile missile launchers along the north-west border areas which is consistent with our reports that Syria intends to implement former Defense Minister Dawood Rajiha’s plan to annihilate Turkey’s dams on the Euphrates River. Aslan reported by telephone this morning from Cyprus that the Turks are livid about Iraq’s purchase of Russian Pantsyr anti-aircraft systems which will certainly be deployed in the north. They view the delivery of the system as a direct threat to their air supremacy over northern Iraq and a boon to Syria’s own defensive capabilities in the event of a Turkish-Syrian war. There is a need to act quickly in Ankara. Turkey has asked NATO for deployment of MIM -104 PATRIOT anti-missile missiles out of fear that Syria will utilize both its vast arsenal of ballistic missiles and MiG 23s and MiG 27s to destroy Turkish infrastructure, especially the dams on the Euphrates. Some of our readers may have been incredulous over our many previous reports that the 7-8 Turkish hydroelectric dams are in the crosshairs of Syrian missile technicians. Don’t be skeptical. It’s a fact. The Ataturk dam’s destruction would deluge the entire south of Turkey and demolish infrastructure for decades. Before his death on July 18, 2012 at the hands of American-enabled, Saudi-financed criminal terrorists, Defense Minister Lt. Gen.l Dawoud Rajiha and Air Force Chief Lt. Gen. Issam Hallaq devised a “multi-layered” assault on all Turkish dams on the Euphrates. Rajiha viewed them as “soft targets” with little or no effective defenses capable of deterring multiple missile and aircraft assaults. Turkey’s reliance on electricity from the dams on the Euphrates is well-studied; but the catastrophic consequences of their destruction has not. It is only at SyrPer that the Syrian stratagem to bring these dams down has been published. The time has come, Dr. Assad. Do it! 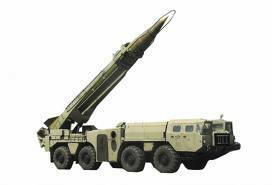 This is a Syrian Scud D-1 missile installed on a mobile launcher. Syria manufactures her own missiles now with North Korean blueprints but the exact number of Scud Bs and Ds is unknown. SyrPer estimates that the number exceeds 1,000. Yet, Rajiha’s plan has to have a back-up wave of aircraft assaults to insure maximum possible destruction. Syria has hundreds of fighter-bombers which include the very advanced Russian-made MiG 29 and Sukhoi 24 ground attack bombers. These aircraft are certainly going to be used to polish off the remnants done in by the Scud workhorses of Syria’s Missile Corps. I know that Syrian Air Force Chief Lt. Gen. Issam Hallaq has kept on developing this important aspect of Syria’s defensive posture. Just as nerve-racking as Iraq’s 4.5 Billion dollar purchase of Russian weapons is to Erdoghan is the growth and expansion of PKK-inspired fighter cells all over southern Turkey. It was with the help of Syria’s Military Intelligence Directorate that PKK operatives were put into contact with south-western Turks who were amenable to attacking Turkish military convoys, bases and other targets. The cells have not been activated yet as training is proceeding apace in Northern Syria and PKK-controlled areas of Anatolia. Weapons being seized by Syrian armed forces from terrorists are now being collected, inventoried and transported, appropriately enough, to the PKK for use against the Turks and this includes Qatari-delivered C-4 explosives of which close to a ton has been found in caches near Homs. It’s a shame we have not given the PKK the SA-9 anti-aircraft missile they so desperately need. We can’t be sure, but this recently captured collection of weapons is the type being turned over to the PKK and to southern Turks for use against Erdoghan. Erdoghan is very nervous at the present time. He never expected the Syrian conflict to last this long or to be given the unpleasant news that Dr. Assad is solidly in power with an army that is growing more cohesive as the days wear on. He is watching the south becoming increasingly restive. Reports of Syrian missile deployments across a vast swathe of northern territory with the Euphrates dams fixed on their coordinates have begun to rattle the charlatan neo-Ottoman tyrant. He is asking for NATO’s help. Whether he gets it or not is not going to matter, really, because as I was told some months ago by Izzat B., a Palestinian engineer who studied the Oymapinar dam in Turkey: once the Ataturk dam goes, so does the entire Turkish economy. He said “…it would be worse than the 9/11 thing”. We have no information to prove this point, but our reading of developments suggests that Russia is now leaning more to Assad’s side than before. Oh, they’ll deliver supplies, parts and even weapons to the Syrian military and they’ll continue to refurbish the port at Tartous, that’s a given, but they seem to detect a a glimmer of light in the opposition’s once-totally impenetrable wall of bullheadedness also. Lavrov, ever the professional diplomat, has seized on this and has met defector-traitor and former Syrian P.M., Riad Hijab. Hijab has been known to tell his fellow-derelicts that there is no way to dislodge President Assad without the full military involvement of Turkey. The Turks are not anxious to immerse themselves in more regional problems. Enter Lavrov. Hijab, ever the dull apparatchik, has no military experience and has probably not heard of the massive military exercises in the Mediterranean conducted by Russian, Chinese, Iranian and Syrian warships. The naval maneuvers were clearly designed to blunt a NATO or Turkish assault on Syria. Russia has made it very clear that it will not tolerate direct military interference in Syria’s internal affairs, a position totally ignored in the Western press. Wael in Latakia has informed me that the maneuvers of this summer went very well and that the Syrian military is counting on Russian protection from NATO in the event Turkey goes to war. Russian Sukhoi SU-33 bombers participate in joint Russo-Sino-Irano-Syrian war games in the Mediterranean. We are anxiously awaiting a war with Turkey so we can finally put the kibosh on Erdoghan’s Ottoman dreams. We are disappointed that Syria has not used its massive missile arsenal against the terrorists. So, this might be chance for Dr. Assad to regain our trust when we see our Scuds landing on Turkish dams and on Erdoghan’s ugly pate.